Escape to some of America’s most beautiful landscapes on an enriching and rewarding photographic workshop or retreat. To inspire you, there is an abundance of sensationally scenic places dotted throughout the United States where you can release your creative spirit and capture a fleeting moment in time to remember forever. 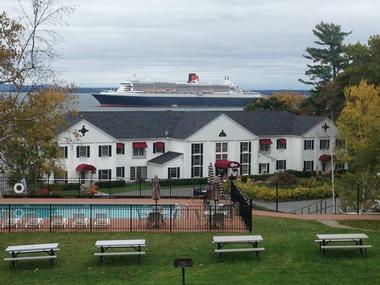 You could not wish for a more scenic coastal destination for your next photographic workshop than beautiful Bar Harbor. The Bayview directly overlooks the water, offering beautiful views from your room and easy access to many of the most scenic parts of coastal Maine including Acadia National Park and Mount Desert Island. The Bayview offers spacious comfortable hotel rooms as well as two-and three-bedroom townhouses which are ideal for groups. The hotel offers a courtesy shuttle to downtown Bar Harbor and offers seasonal specials which are ideal for your photo workshop. The near-by Acadia National Park offers over 150 hiking and walking trails and unlimited photographic opportunities. Bursting at the seams with rustic charm and true Adirondack character, Hemlock Hall is an ideal destination for a photographic retreat, nestled on the shores of beautiful Blue Mountain Lake. 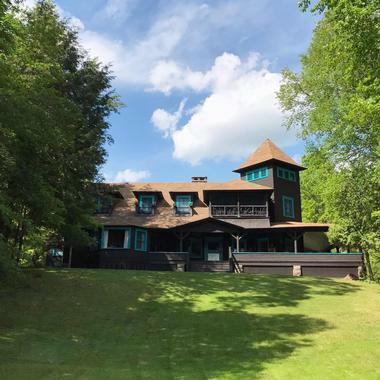 Originally built in the 1890’s, Hemlock Hall has been a popular family vacation destination for many decades. Today you will find a choice of accommodation options including comfortable lodge rooms, quaint log cabins and lakeside cottages. Hemlock Hall serves breakfast and dinner in the large comfy dining room (included in your hotel rate) and bagged lunches are available for days out. The surrounding scenery is outstanding and there is no shortage of photographic inspiration. The sensational red-rock desert landscape of Utah makes the Arches National Park a popular destination for photography enthusiasts. 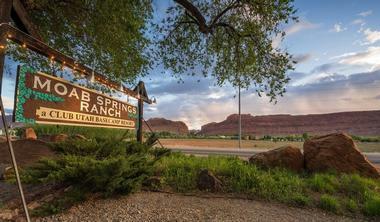 The historic Moab Springs Ranch is a genuine oasis, built around a natural spring, located just one mile from the National Park and the Colorado River – the perfect place to hold a photographic retreat. The resort has a number of comfortable bungalows as well as several fully-furnished and equipped townhouses which are ideal for groups, offering self-catering kitchens, decks and outdoor barbecues. 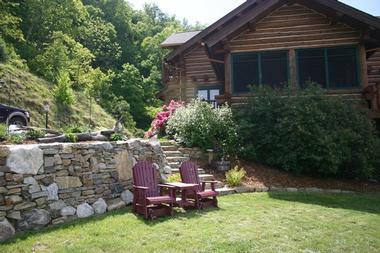 In-between your photography outings into the surrounding landscape you can relax around the heated pool and hot tub. The resort has a business center which can be used for presentations or lectures. 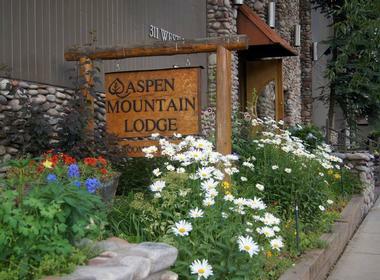 Conveniently located on Main Street, right at the heart of Aspen, the Aspen Mountain Lodge is an ideal base for photographers wanting to explore the myriad of photographic opportunities in the Elk Mountains and surrounds. You can choose from several categories of rooms and a breakfast buffet is included in your rates. You can whet your appetite for the amazing photographic opportunities that await you from the deck which overlooks the mountains. The Lodge has a business center which can be used by groups for presentations and/or discussions after a busy day out in the field. Other amenities include a swimming pool and hot tub and a cozy bar. Famous for its striking crimson rock formations, Bryce Canyon in southern Utah is an ideal destination for a photographic workshop. 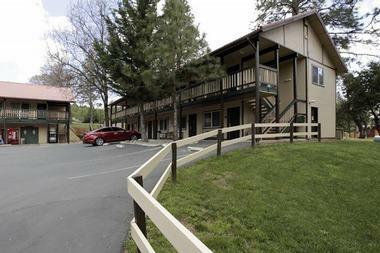 Bryce View Lodge is beautifully situated in an elevated position overlooking Bryce Canyon National Park, and offers a choice of double rooms with two queen-size beds or king rooms which have a single king-size bed. All the rooms have free Wi-Fi, cable TV and coffee makers and guests have access to all the facilities at the West Western Plus hotel across the road, including an indoor swimming pool and hot tub. Photographers can have the time of their lives in beautiful Bryce Canyon as well as taking a day-trip to Zion National Park (83 miles away) for yet more inspirational natural beauty. Custer State Park in South Dakota offers magnificent mountain and lake scenery together with great wildlife viewing – an excellent destination for photography enthusiasts. In addition, a short 23-mile drive will take you to Mount Rushmore for more outstanding scenery and photographic opportunities. If you choose State Park Lodge as your base you will find yourself nestled in a verdant green valley surrounded by stunning forests. The lodge dates back to 1920 and offers gracious luxury rooms in the historic lodge building, rustic cabins or modern hotel rooms. 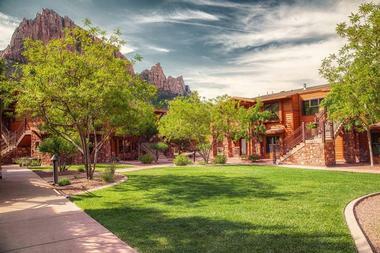 The Lodge has a choice of meeting rooms where you can host presentations or lectures during your photographic retreat. Nestled between glacier-carved mountain peaks and crystal-clear lakes, Montana’s Glacier National Park is an idyllic location where ardent photographers can meet for a workshop or retreat. Located on the shores of beautiful Lake McDonald, Lake McDonald Lodge provides a historic and character-filled base from which you can explore the park and enjoy a plethora of unforgettable photographic opportunities. The Lodge offers rustic lodge rooms with private bathrooms, budget hostel rooms with shared facilities and a few suites and cabins and you can take your meals in the dining room. 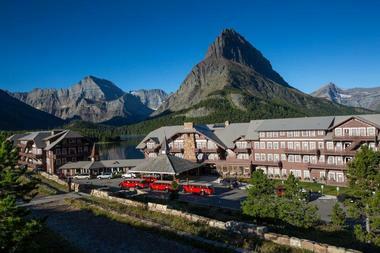 Red Bus Tours into the Glacier National Park leave directly from the lodge. The beautiful Grant Tetons National Park and Yellowstone National Park have long been attracting photography enthusiasts to come and record the awe-inspiring natural beauty they protect. 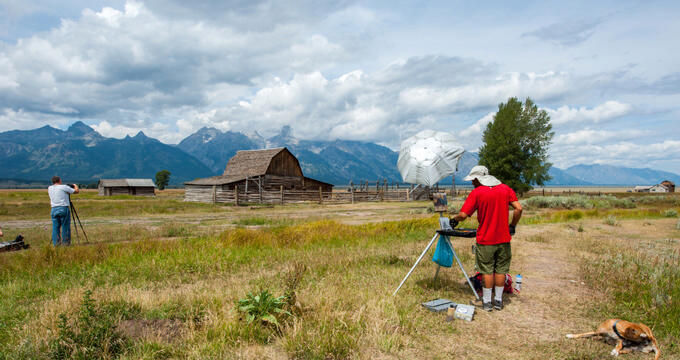 The Hatchet Resort lies in the Jackson Hole valley at the gateway to both of these national treasures, offering the ideal base camp for a photography retreat or workshop. The resort was originally built in 1954 and although it has been extensively renovated it still retains much rustic charm. In addition to a selection of rooms and suites, the Whetstone Lodge or the historic Hatchet Grill offer the perfect venue for lectures, presentations and group discussions after a busy day of photography in two of the most stunning National Parks in the US. Any avid photographer needs to visit the stunning Kenai Fjords National Park at least once in their lifetime. You can arrange to host your next photographic workshop or retreat at the Kenai Princess Wilderness Lodge, which stands at the gateway to the park and offers you easy access to the historic town of Seward, where you can go on a wonderful scenic and wildlife cruise. The lovely old lodge is photo-worthy in its own right, offering a variety of comfortable rooms and suites to return to after a busy day in the Fjords. In addition, there is a business center where you can get together to host presentations, lectures and bragging sessions. What could be better than combining your passion for photography with a delightful island holiday on the southern-most island of the beautiful Florida Keys. Famous for pastel-colored beach houses and coral reefs, Key West is an ideal destination for a photographic retreat, particularly if you are into snorkeling and under-water photography. 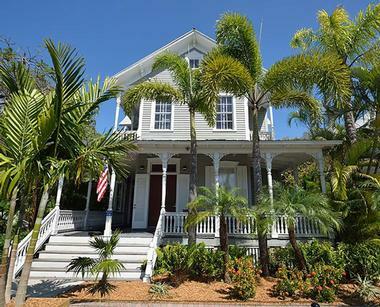 The Chelsea House Hotel is located in the heart of Old Town Key West, making it a convenient base for your stay. 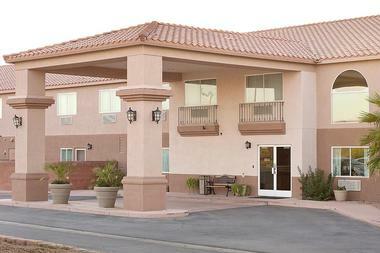 The hotel offers a variety of rooms from standard to deluxe, an outdoor pool and free breakfast and Wi-Fi. Although Chelsea House does not have meeting rooms there are several near-by hotels where you can rent space for presentations or lectures. Nevada’s remarkable Valley of Fire National Park is surely one of the most incredible places in the world to spend some time photographing a surreal landscape of wind-chiseled rock formations, petrified trees and ancient Indian petroglyphs. The North Shore Inn is located on the shores of Lake Mead, offering a picturesque setting and easy access to the Valley of Fire and to Las Vegas (one hour away). After a busy day of photography in the Valley of Fire you and your fellow photo enthusiasts can look forward to returning to the inn for a swim in the outdoor pool and a comfortable room with all the necessary modern conveniences including Wi-Fi, Flat-screen TV, a refrigerator and microwave and a hearty buffet breakfast. Scenic Monterey Bay has plenty to offer photographers who are looking for interesting photo opportunities, and the historic Martine Inn is an ideal destination for a photographic workshop or retreat. The delightful inn is located right on the edge of the shore of the Monterey Bay Marine Sanctuary offering easy access to all the sights and attractions of Monterey Bay. Your group can use one of two meeting rooms for presentations or lectures and the inn has a variety of luxurious and comfortable rooms to choose from. After a busy day out in the field you can return to the inn to enjoy one of their classis Victorian Wine Tasting Dinners served in the parlor overlooking the bay. 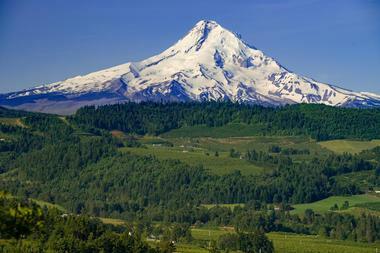 Beautiful Mount Hood in Oregon is capped by no fewer than 11 glaciers and provides a scenic year-round playground for outdoor enthusiasts and avid photographers. 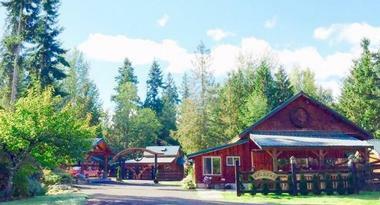 Nestled at the foot of Mount Hood in Government Camp, the Huckleberry Inn is a convenient base camp for exploring the extensive ski areas in winter or hiking trails in summer. The Inn welcomes groups for workshops or retreats and you can arrange a meeting room and custom meal plan for your group. You can choose from a variety of accommodation options which include budget dormitory-style lodgings for groups of 10, deluxe rooms with sleeping lofts for groups of four to ten people or private rooms for individuals or couples. Beautiful Mount Rainier towers over the surrounding Mount Rainier National Park landscape, luring hikers, adventurers and photographers to come and experience year-round activities and wonderful vistas. It is the ideal destination for avid photographers to meet and share their knowledge and experience of landscape photography. Alexander’s Lodge can be rented for group events such as workshops or retreats and offers a large range of accommodation options including individual lodge rooms, self-catering cottages and chalets and even camping yurts. You can host your lectures and presentations in the Big Hall which seats up to 50 people. Forest House is a self-catering vacation home which can sleep up to 10 guests – ideal for small-group retreats. Nestled in a scenic forested location between the mountains and the ocean, close to Washington State’s dramatic Olympic Peninsula, Bond Ranch Retreat is an ideal getaway option for your next photographic workshop. 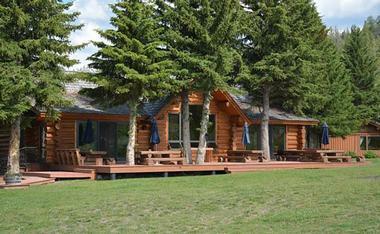 You can hire the entire ranch for your group – there are five double bedrooms and a family cottage – and use the cozy Snuggery as your meeting place. In keeping with the history of the lodge, all the rooms are located in former ranch buildings and offer a very special ambiance. When your group is not out and about seeking the perfect photo opportunity you can enjoy some local wine and cider tastings. If you are looking for the ideal place to host a photographic workshop on California’s Redwood Coast, the Turtle Rocks Oceanfront Inn could be exactly what you are seeking. 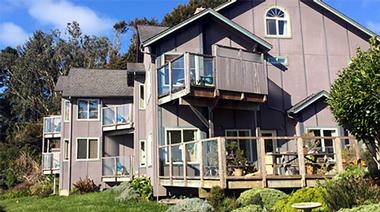 The Inn is located on three ocean-front acres close to Patrick’s Point State Park and Big Lagoon and just 14 miles from the Redwoods National Park. The Inn was cleverly designed to offer all guests wonderful sea views from their spacious guestrooms and the attractive Great Room is the ideal place to get the team together for talks or presentations. Before setting off to photograph the remarkable coastline and Redwood forests, you can enjoy a delicious home-cooked buffet breakfast to set you up for the day ahead. 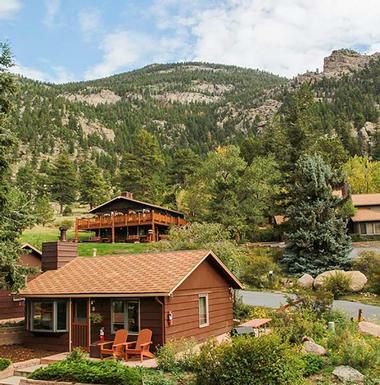 McGregor Mountain Lodge is located immediately adjacent to the boundary of the Rocky Mountain National Park, close to the town of Estes Park in Colorado. The Lodge enjoys spectacular views of the surrounding mountains and forests as well as easy access to the Rocky Mountain National Park via the Fall River Entrance. The entire area is a wonderful destination for all outdoor enthusiasts and offers inspiring photographic opportunities for all levels of photo enthusiasts. The Lodge can easily accommodate fairly large groups for a retreat or workshop – there are several choices of self-catering cottages, suites and lodge rooms available, most of which boast wonderfully scenic views. The exciting New Mexico city of Santa Fe is bursting at the seams with interesting and inspirational sights and attractions, making it a wonderful destination for a photographic workshop or retreat. The 400+ year-old city is full of interesting historic sites and several Indian Pueblos – the ideal lure for photographers. The Lodge of Santa Fe could be a good choice for accommodation for your group as it specializes in hosting meetings and workshops and offers several spaces to suit different sized groups. At the end of a busy day in the field your group can enjoy drinks at the Hilltop Bar which overlooks the Sangre de Cristo Mountains before retiring to your spacious and comfortable room or suite. The thrilling Sedona landscape, composed of amazing red rock formations interspersed with pine forests and canyons, is an irresistible lure for any avid photographer. 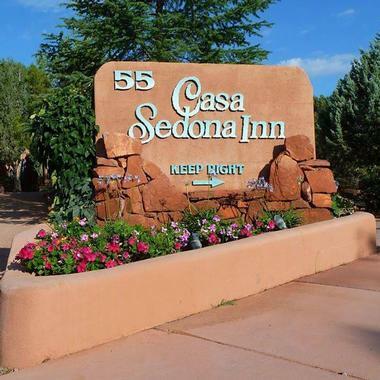 The delightfully quaint Casa Sedona Inn would be the perfect base for a photographic workshop or retreat, offering comfort, privacy and wonderful views together with boutique-hotel amenities. 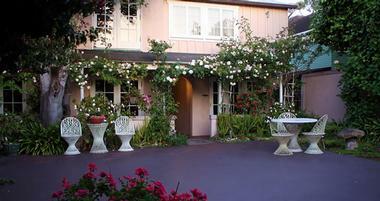 The Inn has a total of 16 double rooms, a lush garden and pool area, intimate dining room and library. The individually styled and decorated guestrooms all have king or queen-size beds, luxury linens, TV, refrigerators, Wi-Fi, luxury bathrooms and bath robes. 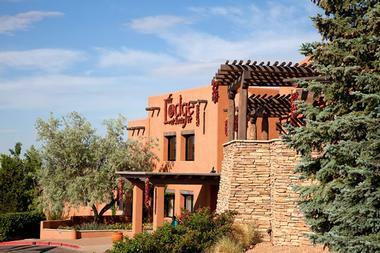 You can be in the heart of Sedona within a few minutes and the Grand Canyon is just two hours away. Offering sensational views of North Carolina’s Blue Ridge Mountains and luxury accommodation with just the right degree of rustic charm, the Wild Berry Lodge is a perfect choice for a destination photographic workshop or retreat. The property has a total of seven comfortable double rooms and when the property is booked out for a workshop or other event, guests will have access to all the public areas for meetings and presentations. After a busy day of honing your photography skills in the remarkable scenery of the Smoky Mountain National Park you can look forward to returning to the lodge for a relaxing soak in the enormous hot-tub on the spa deck, overlooking water-falls and mountains. 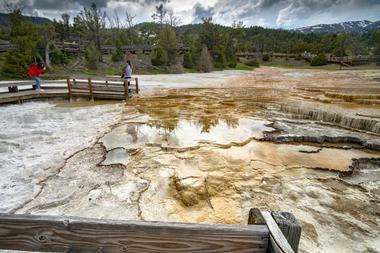 Yellowstone National Park is home to some of the most unique landscape in the US and is a popular destination for nature lovers and photography enthusiasts alike. Here you can explore an outdoor wonderland of hot springs and bubbling geysers interspersed by dramatic waterfalls, forests, rivers and canyons. Mammoth Hot Springs Hotel is located inside the park, close to all the action. 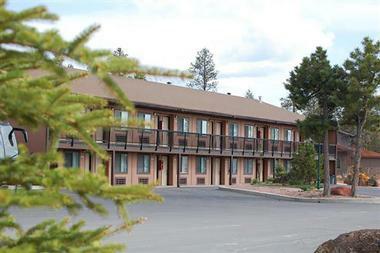 The hotel offers a variety of room categories including budget rooms with shared facilities, cabins and suites. Do not expect TV or Wi-Fi in the rooms – guests generally come here to embrace nature and have a break from technology overload. The hotel has a dining room and a cozy lounge and bar. Conveniently located just 12 miles from the entrance of the amazing Yosemite National Park in California’s Sierra Nevada Mountains, the Yosemite West Gate Lodge is an ideal base for a destination photographic workshop or retreat. The lodge offers a selection of comfortable rooms with all the modern conveniences such as flat-screen TV, coffee/tea maker, Wi-Fi, air-conditioning, microwave and refrigerator – some of the rooms also have a luxurious Jacuzzi bath. Once inside the park you will find yourself surrounded by photo-worthy scenery which includes the famous giant sequoia trees, the Bridalveil Falls and El Capitan’s towering granite cliffs. Do not miss visiting the Ansel Adams Gallery to admire the work of this American landscape photographer. Located in northwest Utah, the Zion National Park is bisected by the magnificent red-cliff Zion Canyon, the Virgin River and the magnificent Emerald Pools. 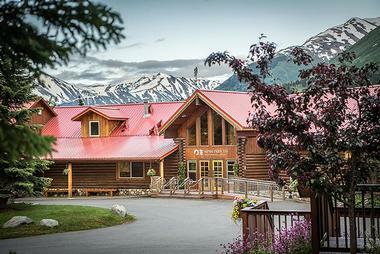 Overlooking this abundance of unique photographic material, the Cable Mountain Lodge is an ideal choice for a destination photographic retreat. To make this destination even more appealing, the lodge offers discounted rates to groups who book at least five rooms or suites and has a conference room where you can host presentations or lectures. The accommodation includes several self-catering apartments with full kitchens as well as comfortable studios with kitchenettes. There is a large pool overlooking red rock cliffs where you can relax between photo shoots.